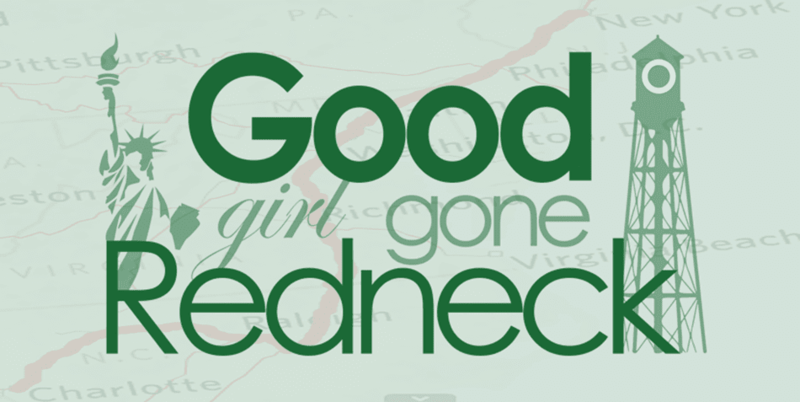 Good Girl Gone Redneck: Little bits of extremely important information about me. Little bits of extremely important information about me. I'm kickin' it old school today because Jana of Jana's Thinking Place tagged me last week and asked me to share five random things about myself. The last time I did something like this I filled out one of those old survey-type things we used to get via email. I went all pre-Y2K for a bit. What I loved about this was that I went back and back and back still to read five things that everyone was revealing about themselves. Everyone who tagged everyone and all the people who were tagged. I just kept going and fell down the old school blogging rabbit hole. Anyway - five things about me. Coming right up. 1. I don't have a driver's license. I know - I know - this isn't news to many people. But I've made a lot of new friends over the last year or so and I thought I would share this with y'all. I've got a lot of anxiety about driving and several years ago I wrote the anxiety a letter trying to kick it to the curb. In 2011. This summer I got my learner's permit. I've yet to get behind the wheel. Keep sending me those vibes of strength, if you could. They'd be appreciated. 2. I've got great hair. Yep. I love my hair. I needed to get that out there because it's so easy to find things that you hate about yourself and when you're like me and those things come and go in giant tsunami-like waves? You've gotta hold onto what you can. For me? That's my hair. 3. I'm so freaking blind. I don't just wear glasses or contacts. I can't see a bit without them. Not a bit. My daughter can stand at the foot of the bed while I'm sitting propped up against the pillows and she has no features. None whatsoever. I know it's her, obviously, but I can't really SEE her. I've got the worst vision in the world. And if you don't believe me tell me your prescription. Because mine is worse, I'm sure of it. 4. I read until the wee hours of the night. I love to read. I know you probably know this about me but I could seriously stay up all night reading. And have. At least back in my younger years. And now I probably am more of an iPad person at night, but I could read a good book forever if it draws me in. Books are like my air. I can't breathe without them. 5. I have crazy monkey toes. I can pick things up with my toes, and I do. I kind of have taught my daughter to do it, too. I think we inherited from the women in my family. I'm so awful that I'll sometimes sweep up the floor with my feet. Kinda-sorta. It's just easier than figuring out where the broom and dustpan are and what the heck else I need to do as far as cleaning. I know. It's awful. But compared to picking up things I've dropped and handing them to my daughter - it's really not that bad, right? It also came very much handy when I was pregnant. Very much. So - there you have it - my five things. 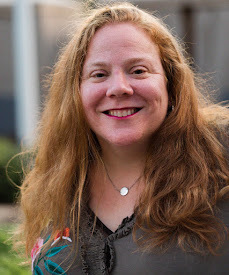 I'm also participating in BlogHer's NaBloPoMo this month and so completing this post means I've posted two days in a row. Yahoo for me! Care to join me? It's not too late. Head on over to BlogHer for more info and find out how to sign up. I also love a great book, though I haven't been reading as much lately as I would like. Which means I need to scan some of your book posts and update my to-read list. The toes thing? My fiance does that. I won't lie, it kinda creeped me out at first. Now I'm just envious, my toes curl but it's outta pain. Glad to see you're doing NaBloPoMo, so am I! the toes thing is hilarious! I didn't get my driver's license until the age of 33, and I still balk at the idea of driving on the highway, and I simply refuse to drive in the middle of the city. So I hear ya, girl. Take your time and make sure you have a great teacher, someone patient, funny and who makes you comfortable! And of course you know that I am a fell bookworm. Where are you at on your reading challenge? I just finished book #30, have 10 more to read till the end of the year! I really do love the 5 things post. a quick and easy way to learn about someone. I love to read also!! You really do have great hair! I love a good all-night reading session. But you already knew this about me. And I TOTALLY have crazy monkey toes! It freaks my husband out.